Jaime Hutcherson, a 23-year-old resident of Palm Coast, was killed following a wreck on U.S. 1 Saturday night after Hutcherson, riding his motorcycle, violently struck an SUV from behind, just past the Hess station and convenience store. Hutcherson, a graduate of Flagler Palm Coast High School, was evacuated by Volusia County’s Air One to Halifax hospital in very critical condition, and died overnight. 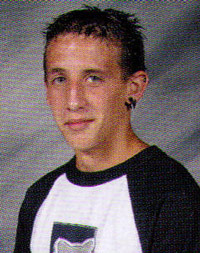 Jaime Hutcherson in a high school portrait. Hutcherson struck a white Ford Explorer driven by Jesus Melendez-Prez, 35. Florida Highway Patrol investigators at the scene said Melendez-Prez pulled out of the Hess station and drove north on the outside lane of the highway. 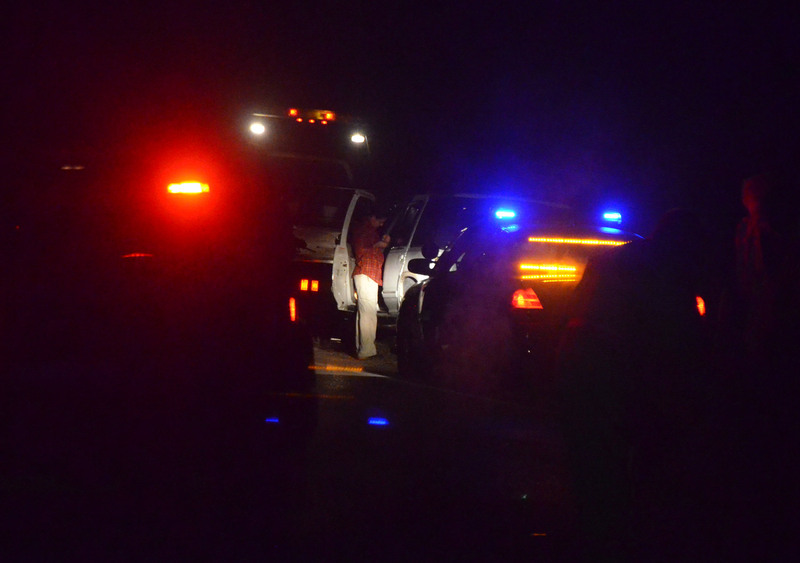 The SUV had traveled some 200 feet further north when Hutcherson collided with it. Melendez-Prez, the investigators said, was not at fault, nor had he been trying to switch lanes. Rather, he said, the driver of the SUV had “established his lane,” meaning that he was driving legally and normally in that lane after pulling out of the station. An investigator pointed to the marks on the pavement, where there were two successive swerve marks from the motorcycle, with tire marks in those two spots that showed where Hutcherson had very likely attempted to suddenly slow or stop. A third mark in the pavement–an actual gash rather than a tire mark–indicated the point of collision. The rear-left of the SUV was smashed, and the rear windshield shattered. The occupants of the SUV were not injured. 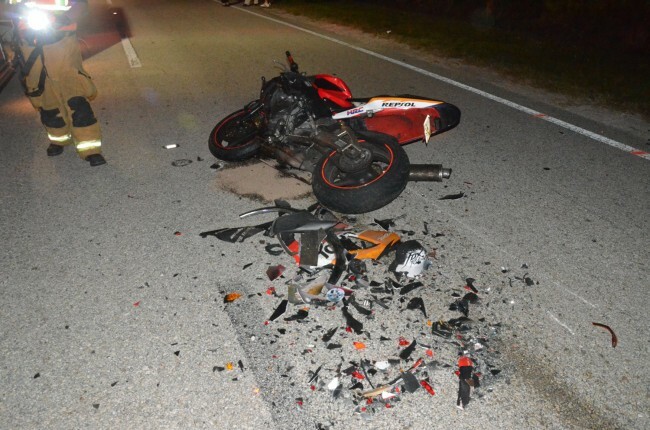 Hutcherson was wearing eye protection, but not a helmet, an investigator said, and alcohol, as far as Hutcherson was concerned, “is a possible factor,” the FHP investigator said. It is not a factor with Melendez-Prez. 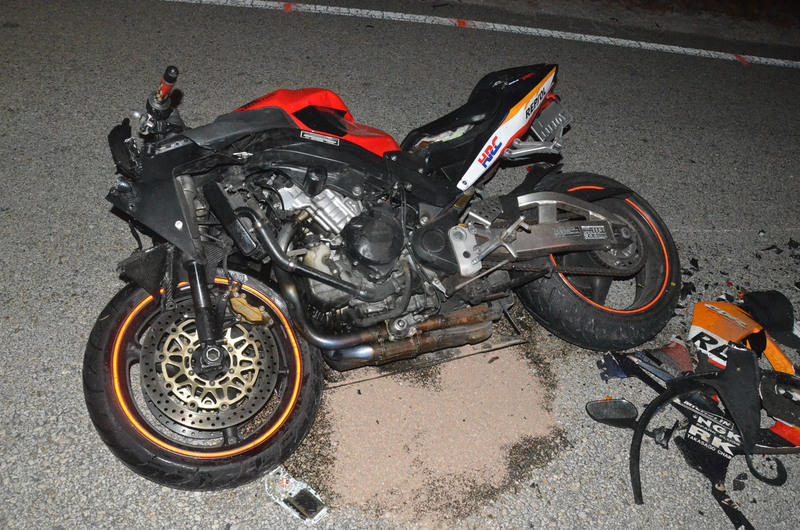 The heavily damaged motorcycle, an HRC, was in the center of the two lanes, facing north, after the wreck. The SUV had pulled to the right shoulder. 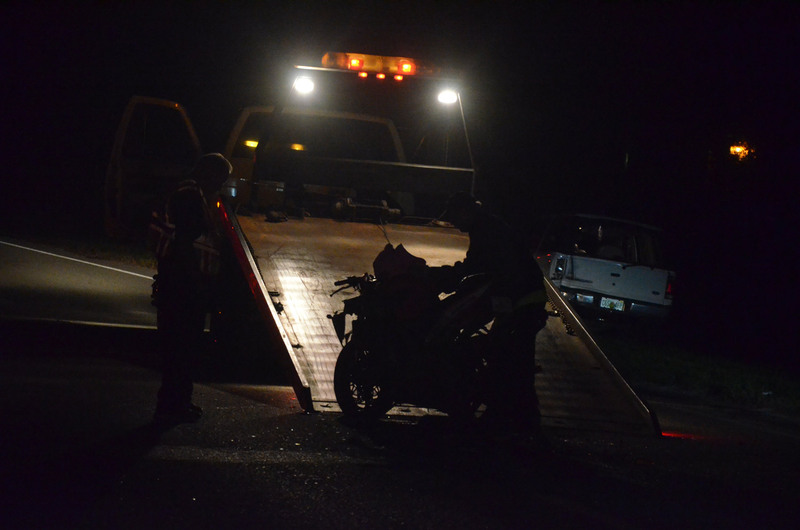 Hutcherson had been traveling north from Daytona Beach with a second motorcyclist. Still, the investigators have not confirmed the speeds of either the SUV or the motorcycle at the point of impact, and all of their investigation is preliminary. 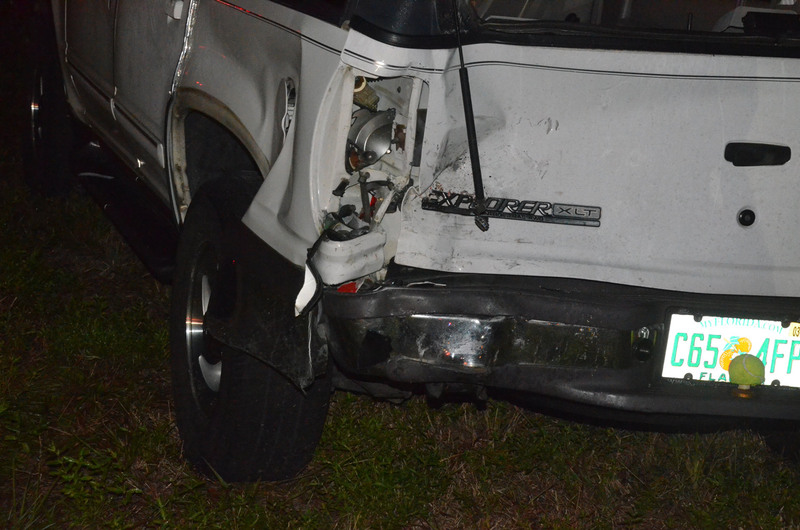 The crash took place between 8 and 9 p.m., almost simultaneous with another crash, in Flagler Beach on State Road A1A, involving a vehicle and a pedestrian. The pedestrian in that crash was evacuated as well, but was expected to survive. U.S. 1 northbound was shut down for a few hundred yards. Northbound traffic was diverted onto the southbound lanes of the highway, which were split to enable the two-way traffic. All lanes reopened after 11 p.m. The Palm Coast Fire Police directed traffic. Relatives of Hutcherson’s were at the scene, or drove to it on their way to Halifax hospital, briefly surveying the damage there and speaking with authorities. The Palm Coast Fire Department and Flagler County Fire Rescue, along with the Flagler County Sheriff’s Office, responded to the scene. 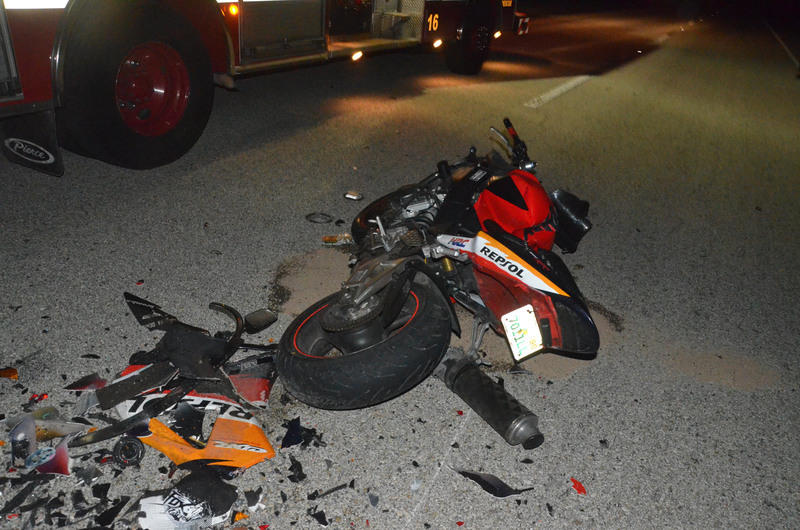 That stretch of U.S. 1 has been the scene of numerous wrecks this year, most of them involving motorcycles. James Ternullo, 51, was struck by a vehicle as he rode his motorscooter a little further south on Oct. 24. He suffered serious injuries. Tyler van Blavern, a 21-year-old motorcyclist, was found dead in a ditch on Sept. 25 on U.S. 1 just north of Bunnell. John Robinson, 33, was killed when he lost control of his motorcycle on Sept. 14, in the same general area of Saturday’s wreck. 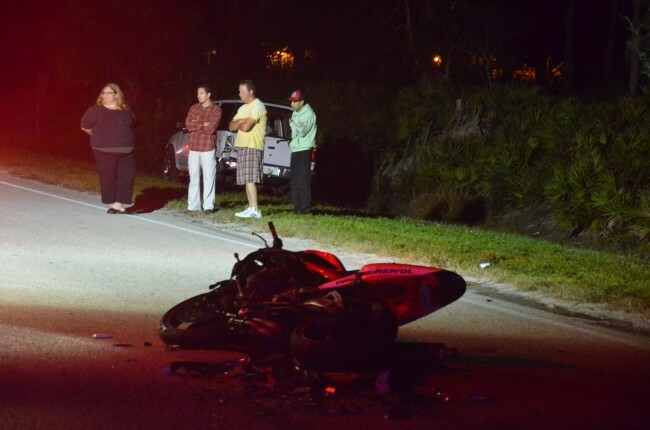 John Melvin, 56, was killed when he lost control of his motorcycle in early September, also in the same area of U.S. 1. 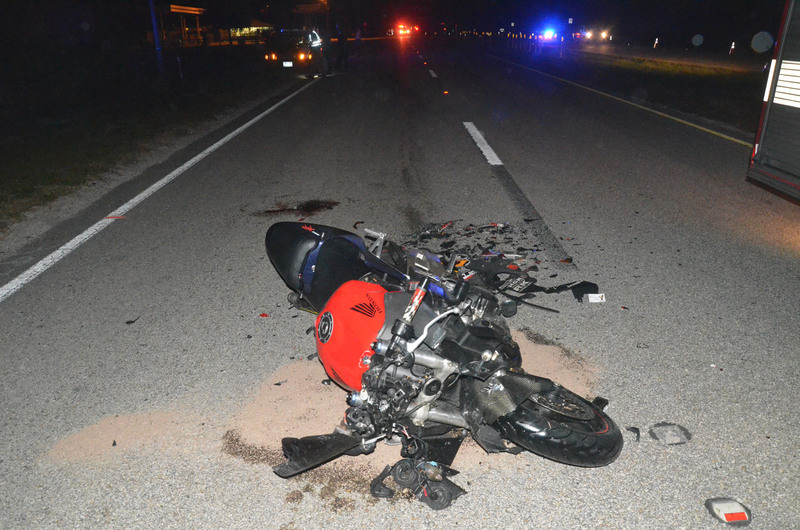 This is why Florida needs to mandate a helmet law for motorcycles. They are so afraid of implications on Bike Week and Biketoberfest as a result of it, but it only makes sense. They have mandated seat belt laws for passenger cars, so why not mandate a helmet law for motorcycles? I do agree with wearing a helmet if you are riding a bike, but I think the thought process behind it is that someone riding a motorcycle is not putting anyone else’s life in danger by not wearing a helmet (only themselves). The idea (at least in my opinion) behind the seat belt law is that if others are in the car, that person could actually become very dangerous to others if they aren’t wearing a seat belt in the even of a crash. Regardless, this is a very sad situation and I pray for all of those affected. The issue of wearing a helmet DOES affect other people. If the other driver had been at fault in the accident instead of the motorcyclist, and the motorcyclist died instead of just being injured from the accident because he wasn’t wearing a helmet, the legal consequences for the driver are very different. The driver’s actions are the same – but a quirk of fate of whether or not the motorcyclist is wearing a helmet could literally cost that driver years of their life. A helmet would not have saved him. This is sad. People really need to be careful with their motorcycle. My thoughts are with the family! RIP Jaime! They are always somebody’s best friend, somebody’s son, somebody’s neighbor, somebody’s dad. Our hearts go out to all of you, everyone. Life is precious. And those who have lost someone they love are in all our hearts and prayers today. Magnolia, that was so beautifully said. I have met Jaime several times and I know his family and many of his friends. Words like yours are the closest things to comfort that can be brought to those who have been shattered by this tragedy. So incredibly sad. My thoughts and prayers are with his family during this very difficult time. Way to young to die. 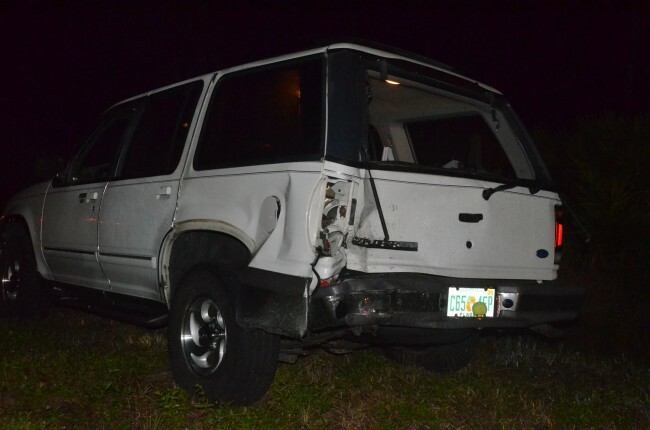 Jaime impacted that SUV at a very high rate of speed. Poor kid, his life just beginning. I am so sorry to hear of this senseless death. My condolences to all who knew Jaime. I hate to read stories like this. Also, I say to you, that they really did not specify how fast Jaime was going. This is what was said by someone around the scene. Noone really knows how fast he was going. And really, what matter does it make. That SUV pulled out of the Hess station in front of him. Ronnie, They did not really specify how fast he was going. Noone really knows at this time. It is so hurtful to read the things that are printed about something that they really know nothing about. wsh302@msn.com, You really do not know the whole story, only what you read in this article. The friend riding with him stated he was going 120 and couldn’t keep up. At that speed and with alcohol there is no chance. The SUV driver probably is dealing with a lot as well for fingers to be pointed. This is heartbreaking for all involved. On the helmet issue, I think they help decrease injuries. But in this case I don’t believe that would have helped. This is something my brother in-law will never forget, he is having a difficult time and we continue to prayer for the family. It is a sad time for all! Thank you wsh302@msn.com. The images in our minds after last night will never go away! Helmet or not at speeds like that, no helmet will help! Come on, people need to ride responsibly and respect what they are sitting on. NO one needs to be riding that fast! 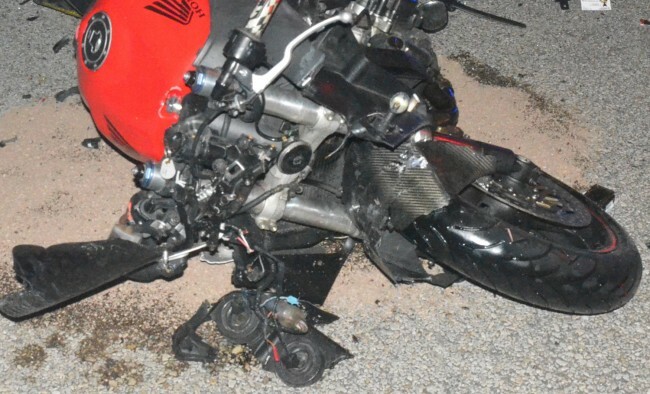 If people would just learn to respect a motorcycle more things like this wouldnt happen! This isnt a helmet issue in this case. NOTHING is going to save u riding over 100mph and crashing into sumthing! My heart goes out to family and friends , 21 is way too young to die, and while a helmet probably would not have helped in this situation, people should wear them anyway , if not for themselves , for the family and friends that love and care about them , its selfish to not take the extra precaution, the ones they leave behind are the ones that really suffer. Motorcycles are inherently dangerous—Driving in a big SUV is also a risk given what can happen on the roads with reckless drivers, blind spots , fog, wet pavements, and sheer stupidity. If one chooses to “roll the dice” in riding a bike w/o a helmet, I think he/she should assuma ALL responsibilty in the event of an accident/ crash—To interpret fault based on whether one wears a helmet is foolish if not criminal. Rights are Rights – Responsibilities are just that– No Helmet, then assume ALL RISKS—- If I am @ fault on the road and someone gets hurt, charge me, If his injury is caused/ compounded by his Choice(not wearing a helmet), make them Responsible—-Fair ? Perhaps their should be a mandatory helmet law like their is for those that ride bicycles. To many young people are fearless and take risks. My thoughts and condolences to this young man’s family. Bicyclist must be over 16 years to ride without a helmet. Perhaps motorcyclists must be over 30 years old.to ride without a helmet. More of a question of responsibility and maturity. Age does not necessarily equal maturity when riding a motorcycle. Just yesterday, I was on I-95 North in Volusia County. I got stuck behind a slow vehicle in the middle lane. I was about to pull out to pass the slower vehicle on the left when I realized a large group of motorcycles was approaching quickly in that lane. I stayed where I was to let them pass. As they approached us, half of the pack suddenly dived two lanes to the right , so that they could blast past on both sides of the slow car in the middle lane. Evidently it was their way of expressing their displeasure at this vehicle holding up traffic. It was immature, childish, and dangerous – and every rider in that pack was AT LEAST 50 years old. They are building motorcycles to go faster and faster every year. Florida top speed limit is 70 mph. Why not limit the top speed of a motorcycle can go to 85 mph. using a computer chip or governor.? Will this save a lot of needless motorcycle deaths? Such a tradegy to loose someone so young. So many lives have been affected by this loss. Jamie you were a sweet kid and will be missed by so many. God has another Angel with him. Prayers out to the family. Poor Jaime RIP :( so sad, he was so full of spirit and life. He rode bikes ever since I knew him the sad ironic thing is he had a tattoo on his back that said crash :,( prayers to his family and friends. I’m not really sure how I came across this post, but my heart skipped many beats while reading. Only God knows how many days we will be permited in one’s life. It is to be cherished and lived to the fullest! For this sweet boy, only his family, friends and all persons involved know the intimate details of a heart broken in regards to Jaime. I know this happened a few years ago, but I’m quite sure it is ever present in their hearts today, so, I have prepared my own heart and prayed for you all. I say this, God’s plan is for the good, for those who seek him first! We will all meet again in a place He has made for us. I write this with my sincerest of heart. God’s speed Jaime, God’s speed. I love and miss you brother xoxo!